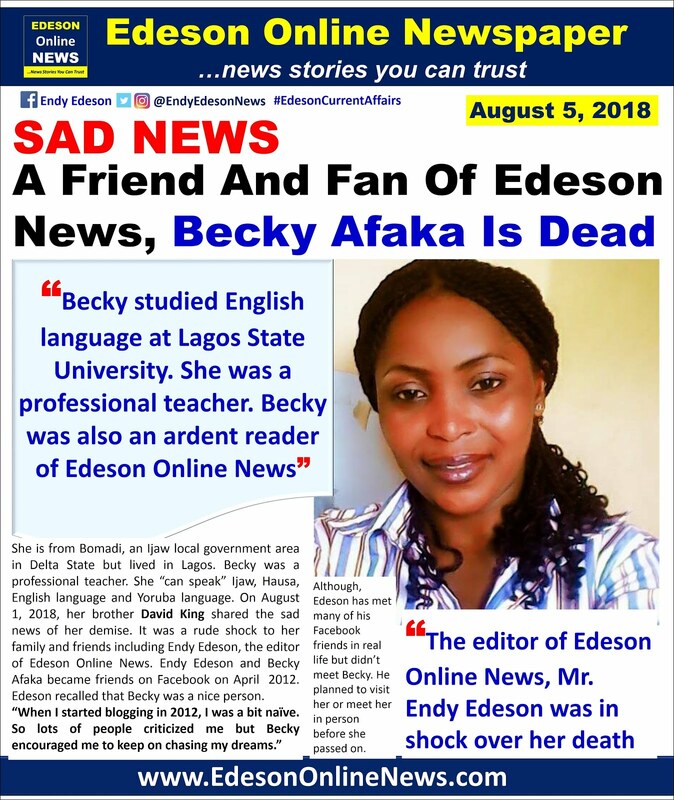 It is sad to report that a huge fan of Edeson Online News and close friend of Mr. Endy Edeson on Facebook, Bekere Becky Afaka has died. Becky became a fan of Edeson Online News since its inception in 2012 and has made meaningful comments that impacted lives. She studied English language at Lagos State University. 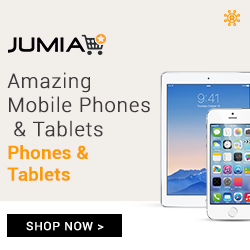 She is from Bomadi, an Ijaw local government area in Delta State but lived in Lagos. Becky was a professional teacher. She “can speak” Ijaw, Hausa, English language and Yoruba language. On August 1, 2018, her brother David King shared the sad news of her demise. 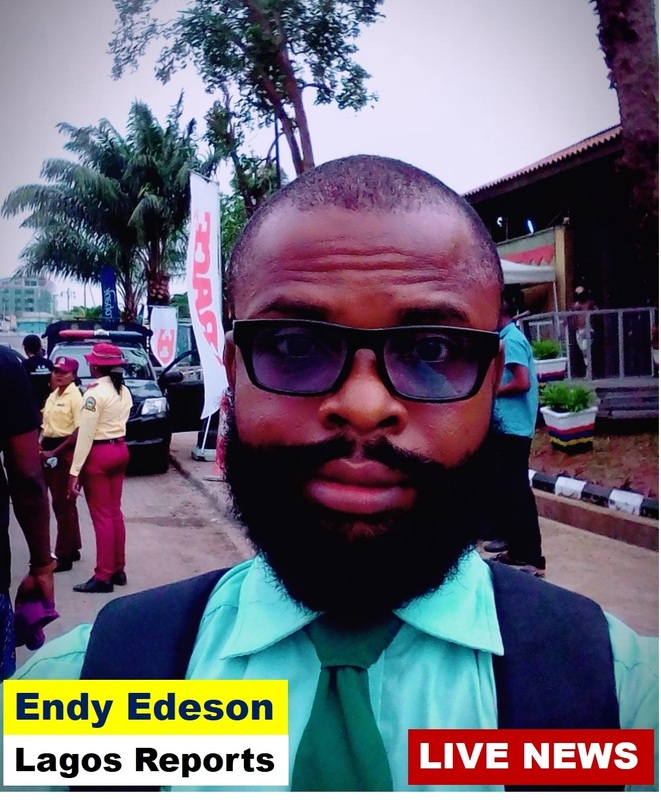 It was a rude shock to her family and friends including Endy Edeson, the editor of Edeson Online News. 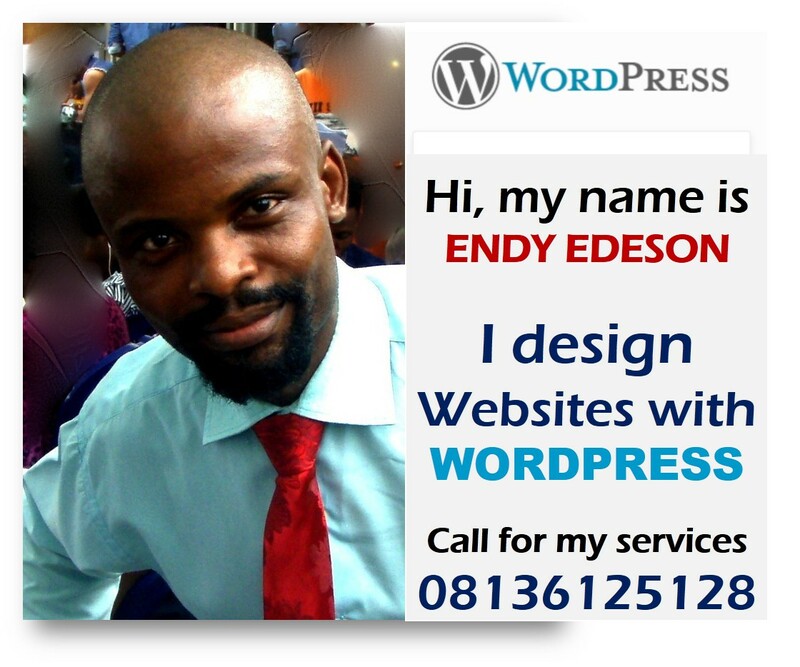 Endy Edeson and Becky Afaka became friends on Facebook on April 2012. Edeson recalled that Becky was a nice person. “When I started blogging in 2012, I was a bit naïve. So lots of people criticized me but Becky encouraged me to keep on chasing my dreams. She had never insulted me on Facebook. We joke over so many things and discuss life issues. She was vast in knowledge and I gained a lot from her comments. About a month ago, I noticed she wasn’t coming online, so I decided to send her a message on Facebook. She told me she was very sick. I felt for her and wished her quick recovery. Sadly, yesterday I checked her Facebook page, only to discover that Becky has died. I was sad and shocked. It is quite unfortunate to have lost her especially at this time when we all need each other." Edeson also noted that Becky was a devoted Christian who loved the things of God. Although, Edeson has met many of his facebook friends in real life but didn’t meet Becky. He planned to visit her or meet her in person before she passed on. May her soul rest in peace and may God almighty consoles her family. What a sad news may God give her family the strength to bear this loss.Adieu beautiful soul. This is a painful one. Rest on dear.